PORTLAND, Ore. — Most of us read reviews before we buy anything online. But a recent experience has one customer rethinking the entire review process. “I have a toddler and it’s too exhausting to go to the store. So really, word of mouth and reviews is how you trust that a product is legit and is going to work,” said Rachel Konty. 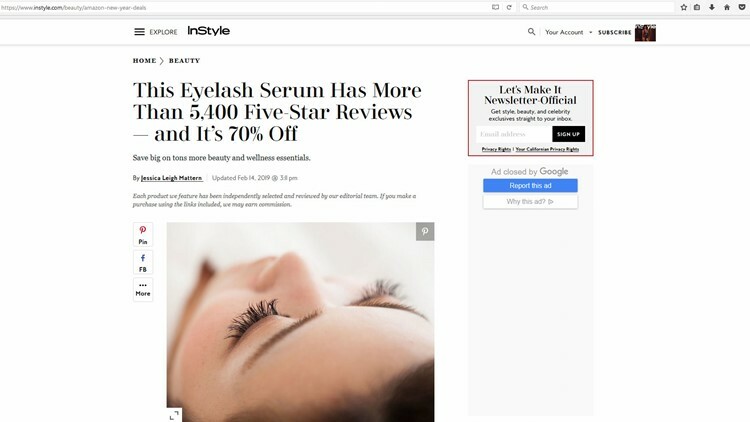 Konty, a KGW digital account manager, went searching for a lash lengthening serum online and found an In-Style article touting its positive reviews. “Their beauty team had tried it and liked it. The title of the article was, 'This lash serum has over 5,400 reviews,'” said Konty. She found the serum on Amazon marked as an “Amazon’s Choice,” meaning it was highly rated and well-priced. “I always felt like Amazon’s Choice was them putting their stamp on it,” said Konty. According to the product page on Amazon, those rave reviews had grown to more than 9,000. Konty paid $29.99 for the serum and it arrived a few days later from the seller, Pac Coast Retailer. “The only thing that came in it was the product and then this little flyer. And then immediately I thought, what did I do? This looks super sketchy,” said Konty. The flyer that came with the product. The flyer offered a free bottle. All customers had to do was email the company at yourfreeproduct@gmail.com. 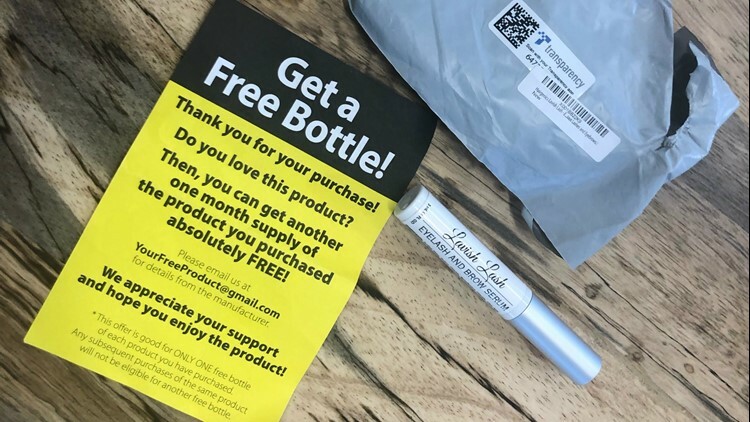 “I received an email right away saying if you leave a 5-star review on our product page and fill out this form then we’ll send you a free month’s supply of the bottle,” said Konty. 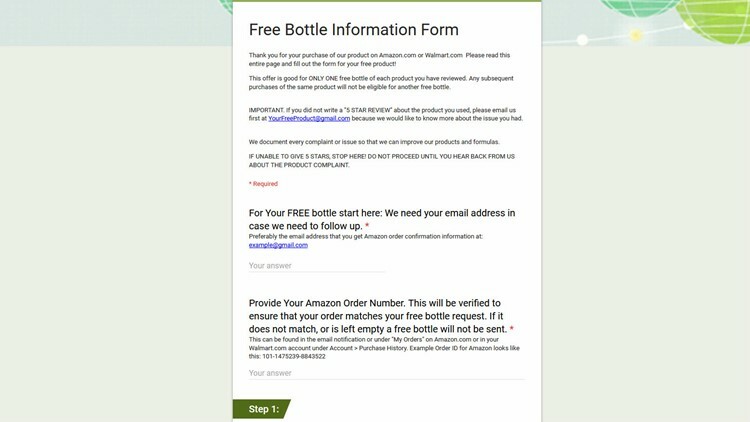 The email instructed customers to post a five-star review in exchange for a free bottle with links on how to post a review and a form to fill out once the review was posted. Konty, who bought the serum because of the positive reviews, said the whole process left her feeling duped. “It seemed like I was kind of coerced into buying something that people may have filled out a review for just to get a free product,” said Konty. “This is definitely against Amazon’s terms of service,” said Tommy Noonan of the website ReviewMeta.com. Noonan created the site to help people spot fake reviews. He says the incentivized review industry has exploded even though Amazon banned the practice in 2016. “It affects the consumers by totally skewing the review picture,” said Noonan. Noonan said the seller was also doing something called “review gating” where the business solicits only positive reviews by asking customers to post 5-stars or to contact them privately with complaints. “The results you are seeing are not typical. They are required to disclose that which they are definitely not doing,” said Noonan. Don’t just look at the number of five-star reviews. Read a 5-star, 3-star and 1-star review to get the full picture of people’s experiences. If you’re unhappy with the product or seller for any reason, take advantage of Amazon’s policy and return it. Noonan said it sends a clear message to Amazon. You can also flag any suspect reviews to Amazon by clicking the “report button” located on the review. 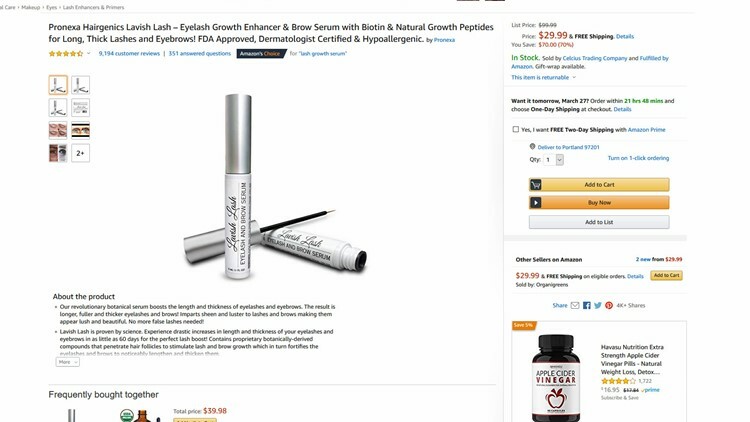 The serum manufacturer, Hairgenics, told KGW they sell to a distributor who sells to hundreds of Amazon, Walmart and Ebay sellers. A company representative said the seller in question, Pac Coast Retailers, is no longer selling the serum or any other Hairgenics products. Amazon invests significant resources to protect the integrity of reviews in our store because we know customers value the insights and experiences shared by fellow shoppers. Even one inauthentic review is one too many. We have clear participation guidelines for both reviewers and selling partners and we suspend, ban, and take legal action on those who violate our policies. We use a combination of teams of investigators and automated technology to prevent and detect inauthentic reviews at scale, and to take action against the bad actors behind the abuse. We estimate more than 90% of inauthentic reviews are computer generated, and we use machine learning technology to analyze all incoming and existing reviews 24/7 and block or remove inauthentic reviews. Our team investigates suspect reviews, works with social media sites to stop inauthentic reviews at the source, pursues legal action to stop offenders from planning reviews abuse, and feeds new information into our automated systems so it continues to improve and become more effective in catching abuse. We work hard to enrich the shopping experience for our customers [and selling partners] with authentic reviews written by real customers. Customers can help by reporting any requests they get to manipulate reviews to customer service. Pac Coast Retailers never returned our request for a comment.